At NorthTech Irrigation, our certified technicians are qualified and factory-trained to install a variety of high-quality irrigation product lines. 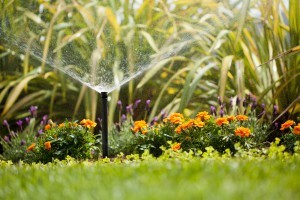 With NorthTech Irrigation, you won’t just get a great new irrigation system. You’ll also be empowered with easy-to-implement instructions for operation and troubleshooting. Here are a few helpful videos to help you get started! The best way to keep your irrigation system operating at an optimum level is to maintain it throughout the seasons. Here are a few tips to help make the transitions easy! Shut the handles off at the backflow (crossways/perpendicular with the pipe). Put in the plug (should be duct taped to the copper) or turn the faucet off where the copper comes out of the house for the backflow. With a screwdriver close the bleeder valves located on the backflow. Turn the water on in the basement. Water will come out the top of the backflow for the first 30-45 seconds, which is normal. Make sure the controller is plugged in. Manually run through all zones to check heads and ensure that valves are functioning properly. If you still need assistance, our technicians are here to help. Please contact us to schedule a service call. * If the system doesn’t turn on… check the rain sensor (override it). * If a head doesn’t pop up… try tapping on it with a hammer or your foot to loosen up any dirt. * If a zone sticks on… make sure the solenoid/bleeder on the valve (located in the green valve box) is closed up tightly. During the summer – especially here in Minnesota – the weather can be unpredictable. Remember to adjust watering times for the current weather conditions! Backflow handles are halfway open. Bleeder valves are halfway open and have been tagged. * If the system has not yet been winterized for the season and temps go below freezing, wrap the backflow with a blanket.